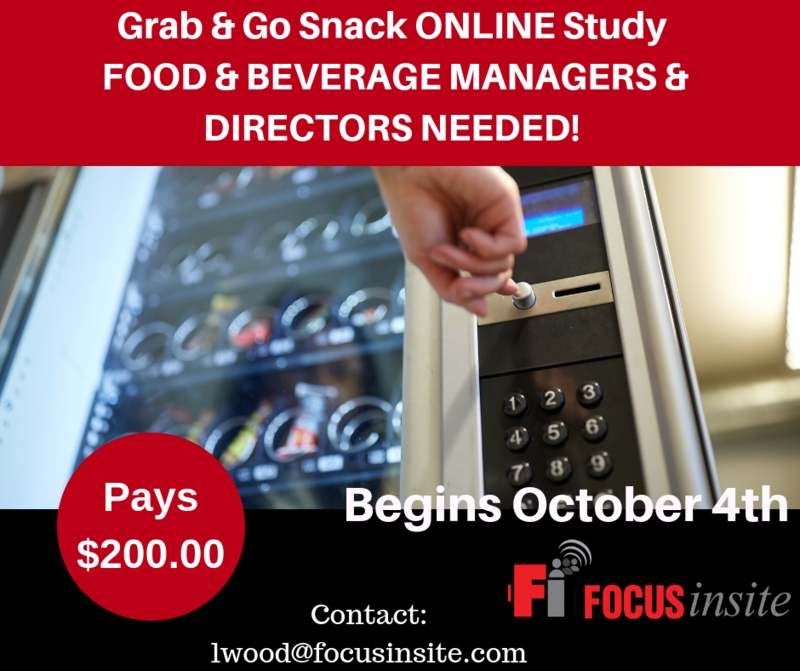 We have a paid study, online via a web interview, that pays $200.00 for your time and opinions. If you are interested, please fill out this link, and should you qualify, we will contact you! Study is starting October 4th.